Hops at Hoffman Appalachian Farm. Photo provided by ECCD. On August 14, 2018, the Elk County Conservation District (ECCD) held a successful Agriculture Bus Tour. 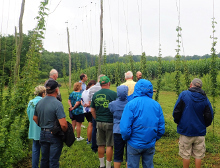 Twenty-six attendees toured Hoffman Appalachian Farm, Straub Brewery, and Chocolate Drop Farm, all located in St. Marys, PA.
At Hoffman Appalachian Farm, owner Joshua Brock gave a tour of his hop farm and explained the hop growing process. Brock plans to implement a solar powered irrigation system that utilizes the capture and reuse of rain water. The tour continued at Straub Brewery where George Hasselman gave a very informative overview of the facility’s history and brewing process. The tour wrapped up at Chocolate Drop Farm, owned by John and Sylvia Straub. They feed the spent grain from Straub’s brewing process to their 17 Hereford beef cattle. They also practice rotational grazing. 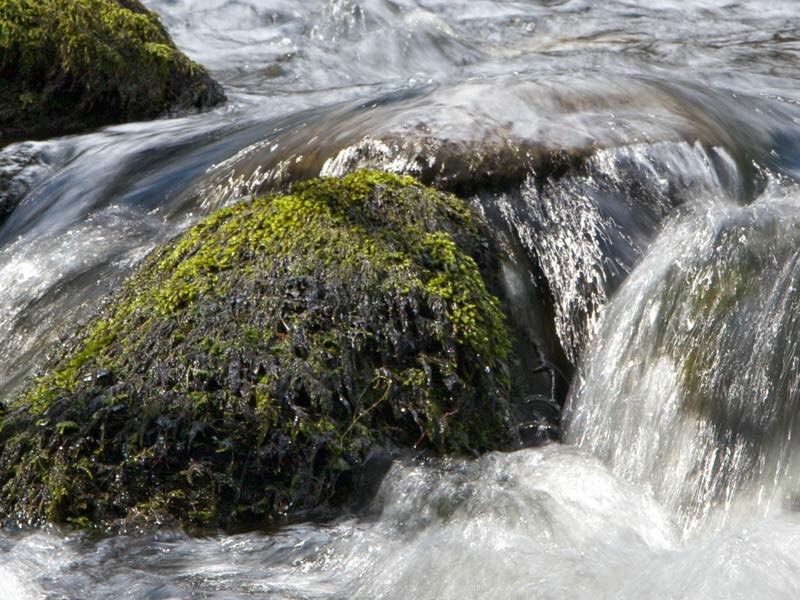 This has greatly minimized any heavy use areas on their property, reducing nutrient runoff. It was fascinating to see the process from beginning to end. From the growing of the crops, to production, to use of the spent grains, each phase was uniquely interesting.